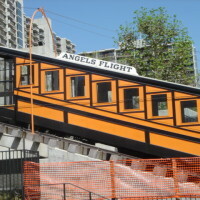 Ride the world famous Angels Flight for just a quarter. 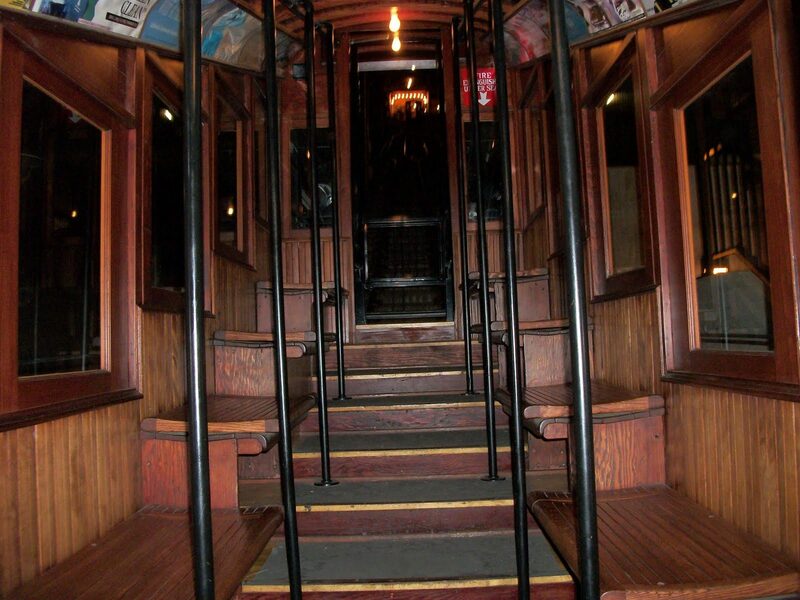 Recently this historic cable car reopened and now passengers can once again ride the rails from the corner of Hill and Third Street to the top of Bunker Hill. 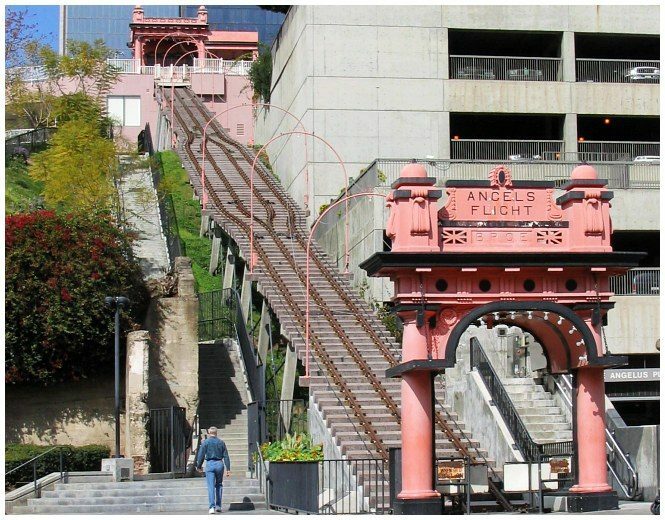 At the top you can enjoy a great fountain shops and restaurants at MOCA Museum Of Contemporary Art. The Shortest Railway In The World! 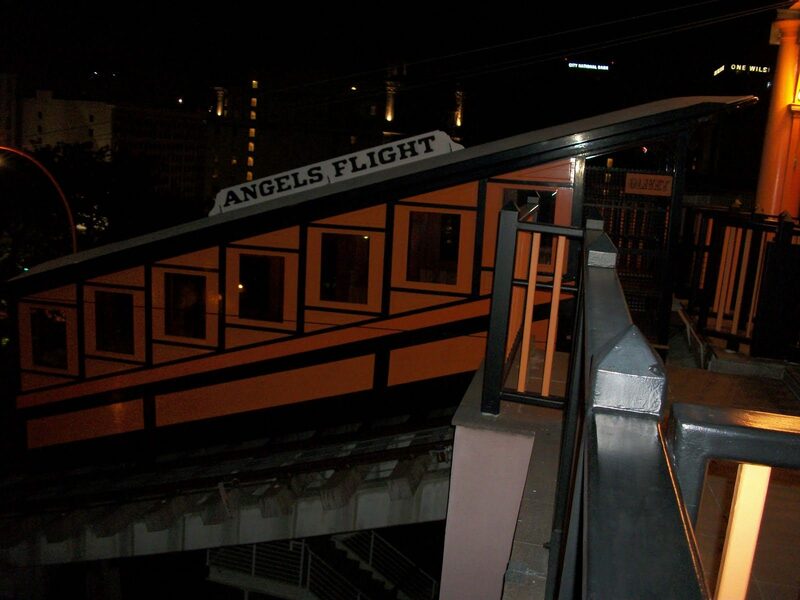 While at Angeles Flight be sure to look south and see if you can spot the painted on window washers. As you can see the building next to the mural was taken down exposing the windowless side of the building the mural is on. Originally the mural portrayed a window washer hanging on to the edge and about to fall. This was changed due to the larghe number of calls 911 was getting about the poor window washer.